Microsoft has got in touch with HEXUS to let us know that its Surface Studio 2 AiO computers have today become available in the UK. These AiO PCs were launched back in October last year at a special event in New York and heralded as the "most powerful Surface" machines ever built. 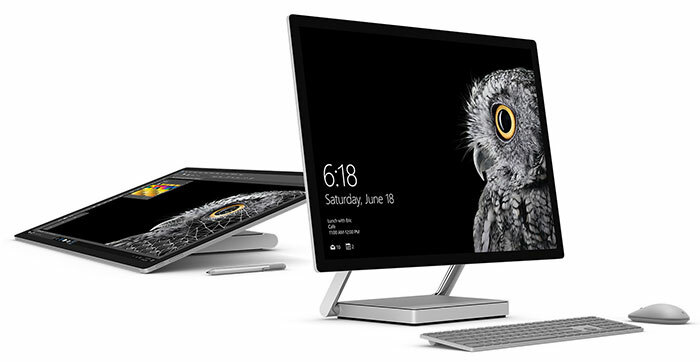 Microsoft Surface Studio 2 computers are built around a 28-inch PixelSense display with 4500 x 3000 pixels. As these machines are aimed at creatives the display is colour calibrated and can be adjusted for various colour spaces. Compared with your common or garden AiO, the Surface Studio 2 screen is very tiltable and can be lowered down to a sharp wedge. This makes the screen good for touch control, inking, Surface Dial tweaking ($99), and so on. Even the cheapest configuration comes packing the 4C/8T Intel Core i7-7820HQ. You can choose three configurations in the UK, which vary in their RAM and storage configurations - and perhaps more importantly whether they come packing an Nvidia GeForce GTX 1060, 6GB or GTX 1070 8GB. Bundled with Surface Pen, Surface Keyboard, Surface Mouse, power cable. You can buy a Microsoft Surface Studio 2 from the Microsoft Store, John Lewis and Currys PC World in the UK. Microsoft has released the date that it will kick off its annual developer conference. 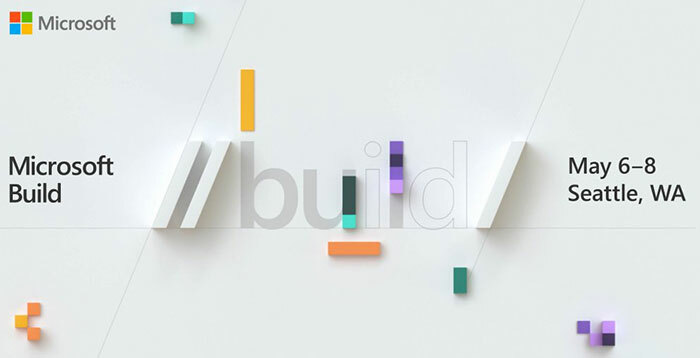 Build 2019 will take place between 6th to 8th May at the Washington State Convention Centre, Seattle. This event starts just one day ahead of Google I/O, so it will be interesting to see who gets the most headlines. Look out for Microsoft news about HoloLens, Xbox, Office, Windows, and perhaps even some more Surface products. Microsoft Studios has been rebranded as Xbox Game Studios. The name change helps Microsoft make it clear that "Xbox is our gaming brand across all devices, no matter how or where you want to play, or who you want to play with". There are 13 distinct game development teams which form Xbox Game Studios, with seven of those added in the last year. Microsoft promises that "2019 is going to be a great year," in gaming with exclusive titles such as Crackdown 3, Gears 5, and Ori and the Will of the Wisps coming to Xbox Game Pass members. Furthermore, new content for Sea of Thieves, Forza Horizon 4 and Minecraft is on the way. Surface studio 2 is a gorgeous bit of kit, especially if you're a designer, but a bit too expensive imo.. I'd love one, but dont need it, as with many things..
Can't really see the reason these are so relatively expensive… apart from the (small) screen, it's nothing special, unless I've missed something? Market positioning. It's a fabulous trick if you can pull it off. At the risk of starting a war, iPhones have been doing it for yeats, just about every ‘designer’ clothing item does it, and even sunglasses and perfumes are at it. Oh, and the world-class example? Rolex.